Graduation party preparations continue at our house. 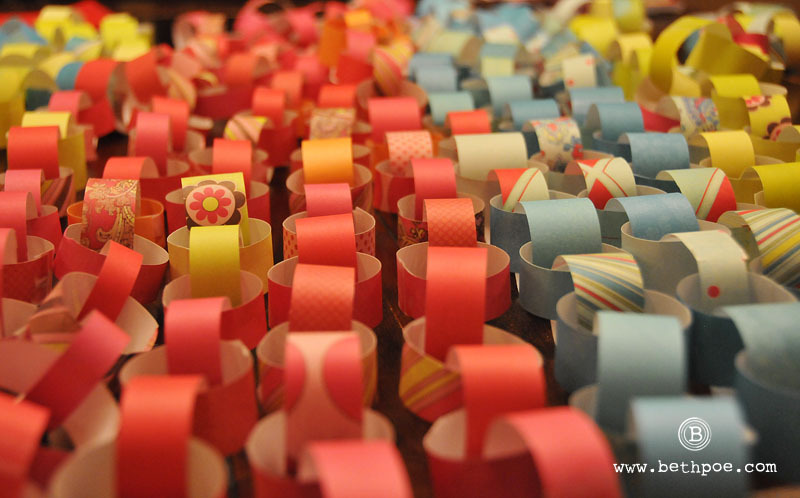 The most recent project: colorful paper chains to be used as festive backdrops. Adorable – but time consuming! Thankfully, my daughter has taken on this project as her own :-).